EXCLUSIVE AT NET-A-PORTER. Thong sandals are a huge Spring '19 trend and our Global Buying Director Elizabeth von der Goltz highlights STAUD as a brand doing them particularly well. 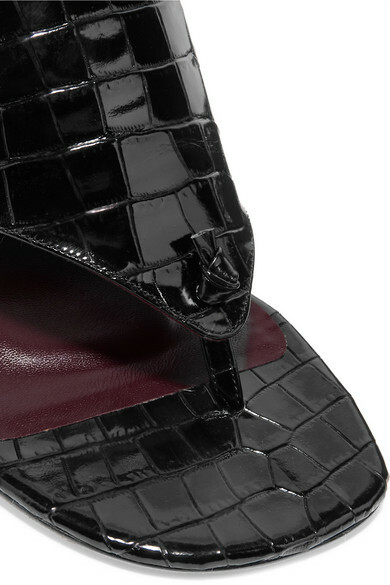 Inspired by the '90s, this black 'Keith' pair is made from glossy croc-effect leather and shaped with square toes. 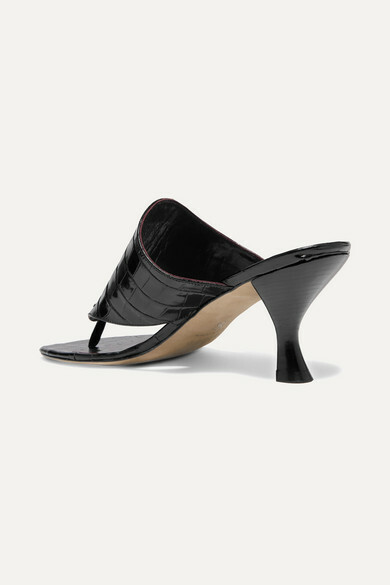 They're set on slender kitten heels, so you could even style them with a suit. 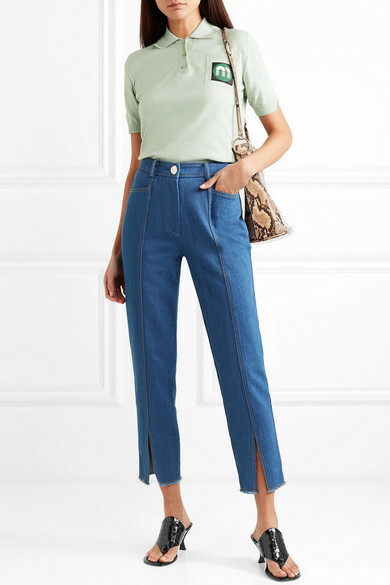 Shown here with: Miu Miu Polo shirt, REJINA PYO Jeans, TL-180 Shoulder bag.